This small article has been updated so many times since its first release in 2016, I kinda lost track of the word count. But I’m sure it’s become lot longer than she imagined. There is a total of 12 chassis reviews now at the spheres of your eyes. Please enjoy and don’t forget to forget commenting what chassis you’d choose for your build. It’d help future builders a lot and definitely gain you real-life karma. *This table of content also appears on the right sidebar on your desktop screen later as you scroll along the article, whenever it feels like to. When I first saw the Corsair 250D, I honestly thought it was an really adorable sister of the Corsair 750D or 900D series that pretty much all enthusiasts down the block already know. And boy, how wrong I was! This little brush aluminum and steel babe could easily take on a 5.25″ optical drive in the front, a full-size ATX power supply in the back and a big, thick, full-length, 290mm long (11.4″) video card right in the middle and still has room for a 240mm radiator mounted on the side. However, that is a really tall order; and for all that glory to exist in this space and time, you’d have to sacrifice the overall size of the chassis. 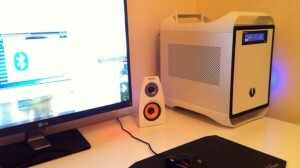 That means the 250D belongs to -or would be considered as- the jacked up bro of all mini-itx cases. That is about one banana and another half bitten for scale. So the chasis is a bit large for a mini itx build, but not too enormous that it does not fit this theme. Very roomy with space for an optical drive, three 2.5″ drive and one 3.5″ drive. Two front USB 3.0 ports with USB 3.0 header. Anodized brushed aluminum fascia. Big word and not gimmick. It actually gives the exterior a strong resistance to scratches and fingerprints. Just cause everybody would love to touch their case once in a while. Supports liquid cooler kit with 120mm or 140mm radiator on the front, or 240mm by the side. Comes equipped with 2 fans : one x 140mm in the front and one x 120mm on the side. Fits ATX power supply unit (180mm ~ 7″ in length). Top panel has see-through window. Front and bottom dust filters. 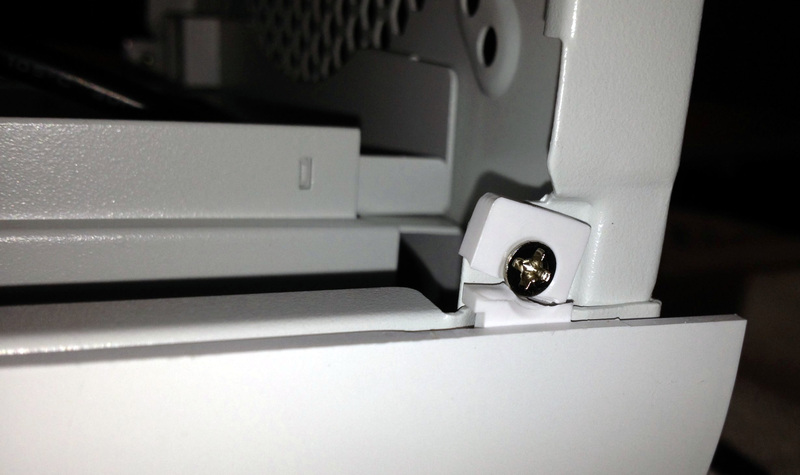 Big thumb screws for easy removal of side panels and hard drive bays. Great clearance for motherboard (95mm ~ 4.7″ in height). Supports video card length up to 290mm (11.4″). It weighs about 10 lbs (4.42 kg). May make your guns little bigger if you have to carry it around everyday. 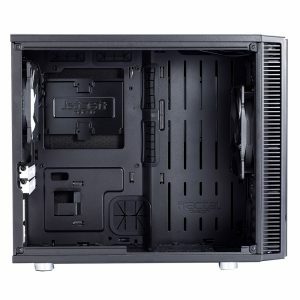 Solid front panel reduces air flow, but not too significantly. Cube shape. Not that I have anything against cube but it could be a bit too plain of a taste for most. 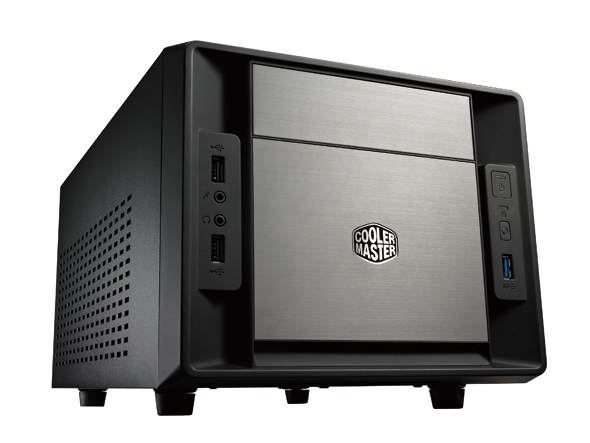 Cooler Master was one of the first who jumped on the itx band wagon started few years ago. 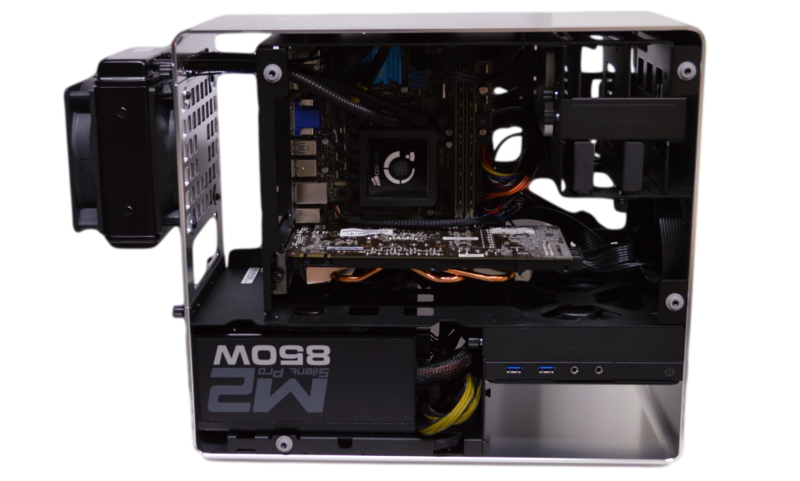 They have manufactured many of the best mini cases in the market, and these three are the solid proof that Cooler Master know what recipes to offer us PC builders. 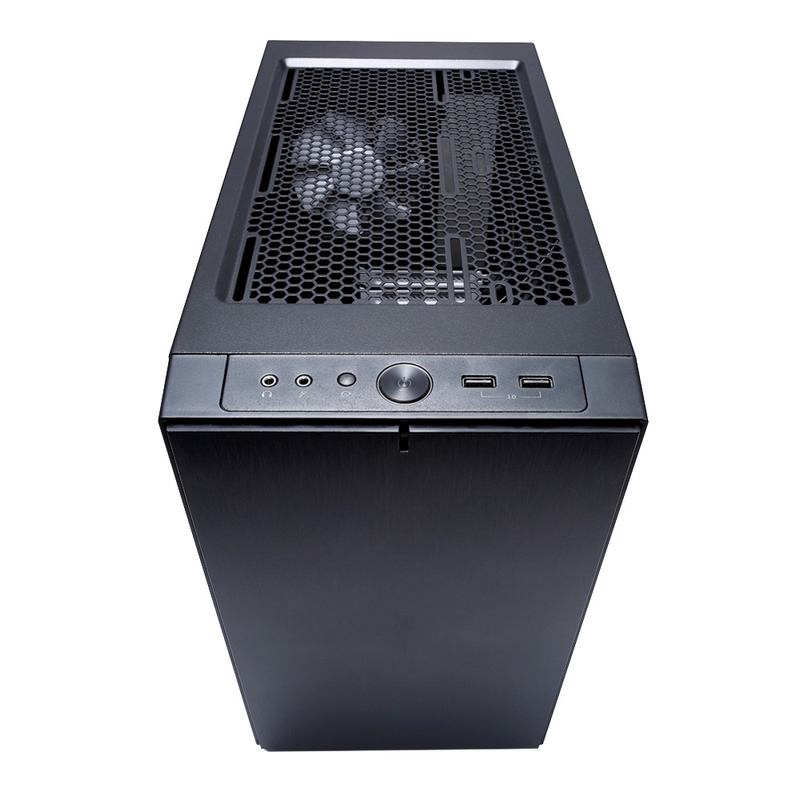 If the Corsair 250D above is too big of a cube for you, then Elite 110 is the exact smaller cube for you. I don't think we would be able to find something smaller than the Elite 110 that could hold a mid-length video card, a liquid cooler, two SSDs with one 3.5" and a ATX power supply anywhere else in the market. The Elite 120 comes best fit when you want to build a compact HTPC with some light gaming in mind. The mesh front panel is an absolutely nice bonus to vent the heat out. Here comes trade off: an optical drive bay is non-existent and you can't really go all in as a gaming rig with this chassis. Pretty small, 260 x 208 x 280mm (10.2" x 8.1" x 11") -- yet practical. Light weight - 2.65 kg (5.9 lbs). 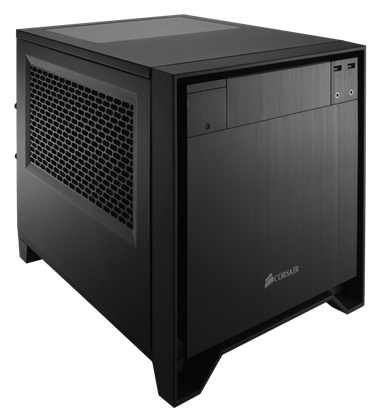 Full-size ATX power supply (180mm ~ 7″ in length)..
Can mount three 3.5" drive or four SSDs. You can also mix two 3.5" with two 2.5" OR one 3.5" with three 2.5". Cool front logo is a LED switch. Can hold one 120mm radiator. Plenty of vents : one on top and two on both sides (in which each side can hold a single 80x25mm fan). 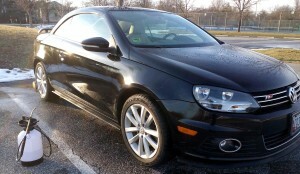 All power, reset switches and auxiliary ports are on the left side for a cleaner front look. 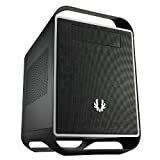 We used this chassis for the last $600-$1200 Gaming HTPC Build. Short clearance for air cooler, up to 76mm (3"). Top-mount power supply with top vent. It could be a good thing or it could be a bad thing. In this case, the airflow have to rely on your power supply exhaust fan because the position of the power supply obstructs the opportunity for an actual rear fan. It also makes changing internal components a little bit harder because you have to first remove the power supply to access the motherboard tray. No bay for 5.25" drive. So Cooler Master takes the Elite 110, dress it up nicely and wait for it to grow in length (not taller, but longer because that's how mITX cases grow in nature) then one day..Booomm ! We have the ultimate good looking Elite 120. Haters gonna hate. What's the catch ? Well, it's quite hot. As in Dracarys. Just kidding! A handsome, attractive and compact case that would fit your living room setup nicely -- 240 x 207.4 x 401.4mm (9.4" x 8.1" x 15.8"). That is the same width, a little shorter in height, but 4.8" longer than the Elite 110. 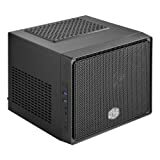 Comes with two pre-installed fans on the front (120mm, 19dBA) and on the right side (80mm, 20dBA) with one space available for hard drive fan (120mmx25mm). Full-size 180mm power supply unit. Plenty of vents : one on top and two on both sides. Left side vent is for video card. Got itself a space for optical drive. Can carry up to three 3.5" drives and four 2.5" drives with toolless bays. Very short clearance for CPU cooler 65mm (2.5"). Not enough room for liquid cooler. Top-mount power supply along with solid front provide little ventilation for the case, and it also makes it harder to change internal parts. 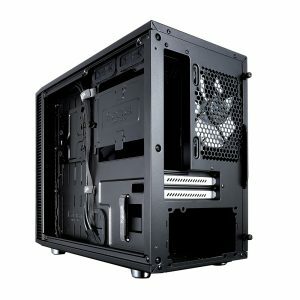 Relies on power supply AND/OR video card fans to exhaust hot air. It could get very hot on the inside if you install anything equal or above mid-range video card. So I told you that Cooler Master actually got the Elite 120 by feeding the Elite 110 a rare candy just to see it elvove. Now the Elite 130 is its final form. 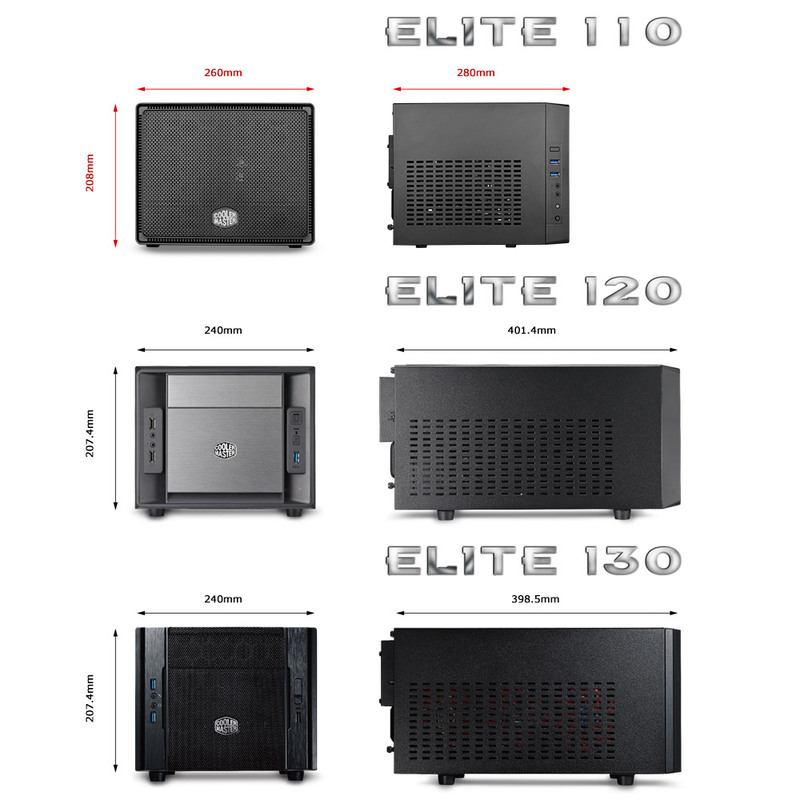 But as the matter of fact, the Elite 120 was essentially the very the first of the whole m-itx Elite series. That's why there are some outdated features you could find in the Elite 120 but not in the other two. Now that the Elite 130 is out and improved, you can bet that it should be the best and probably the greatest combination of both Elite 110 and Elite 120. Hence don't be surprised when you see me dirty copy and paste everything that's good of the previous models for the Elite 130 in its Pros' section. As well as the Cons'. A front mesh design means a healthy ventilation. Weighs at 3.1kg (6.8 lbs), slightly less than Elite 120. Better space efficiency than Elite 120 for almost the same dimension: 240 x 207.4 x 398.5 mm (9.4" x 8.2" x 15.7"). Two USB 3.0 ports and one USB 2.0 port on the front panel. 1 Optical drive bay, Two 3.5" drive bays, Two 2.5" bays. The optical bay (looks like someone has listened!) could be converted into extra room for One 3.5" bay or Three 2.5" bays). Preinstalled with One front 120mm fan and One side 80x25mm fan. Supports high-end video up to 343mm (13.5") in length. Accepts full-size 180mm ATX power supply. Supports liquid cooler with 120mm radiator mounted in front. Slightly lower internal temperature than the Elite 120's during full load. 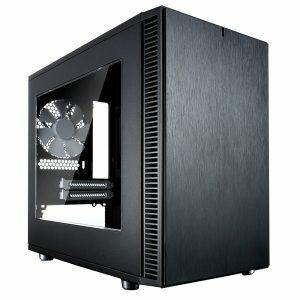 Relies on power supply AND/OR video card fans to exhaust hot air. Random question! How do you know pronounce EVGA ? Do you just spell each letter out as in E, V, Geee, A or call it “EF GAH”? The curiosity irks me. Let me know in the comment if you got a chance. But now back to the topic. Most of us know EVGA as a very popular graphics card & motherboard manufacturer, no doubt. They recently got their first foot in the power supply business and it turns out alright. Not too shabby. Microcenter has EVGA memory that you can’t buy from another retailer. But when I heard of a mini ITX case made by EVGA, I could care less. Then the other day when I went on some errand to places most guys usually go. You know, like victoria secret, bed bath & beyond, tjmaxx, buy buy baby and I happened to walked into a Microcenter store also happens to be in the same plaza. As I sailed across the chassis aisle, this EVGA Hadron caught me attention and I wouldn’t believe at first it was made by EVGA. I played with the Hadron for almost half an hour ago, really made the sale people there nervous because they work on commission. But I got the case home with me, which is nice. Proof: you probably will see the Hadron with a banana for scale here somewhere. Small, very clean and attractive design with glossy front panel. Comes with set of SATA cables. Double 120mm fans at the top for heat exhaust. Top, bottom and right open vent. Two USB 3.0 ports by the right side. Two tool-less bays for 2.5″/3.5″ drives. Weighs 6kg (13 lbs) => Actually also good for light tricep and bicep workouts. But to be fair, that already counts the power supply. A special liquid-cooling edition also available. Solid front panel increases internal temperature. 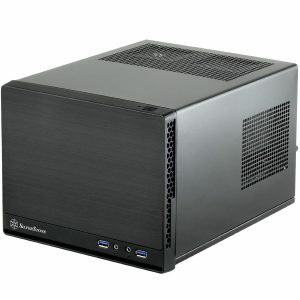 Does not accept regular ATX size power supply. PSU upgrade is limited. Does not have 5.25″ optical drive bay. However, Hadron has a slot-loading optical drive bay (you can buy the drive directly from EVGA). 40A on the +12V Rail, which could support up to GTX 760 Superclocked at the time of this writing (GTX 770 needs 42A on a 600W, so if you dare to install that video card you are kinda pushing it). No rubber pads at the bottom which may leave the stands easily scratched. When this plain white box shipped to me from Taiwan, I thought I made a god forsaken mistake for ordering a mATX case into a mITX round up review. After dem panic feels then I quickly realized I was wrong again. Upon unboxing the Inwin 901, I gotta admit –this. is. one of the. tallest, heaviest, most interesting design, best looking mITX case I ever lay my eyes on. You see, both sides panels are 100% made of beautiful tempered glass with a dark tint that blend nicely with the rest of the aluminum chassis. First thing came to mind was, goddamn this thing must be a finger print magnet. Then as usual, I was wrong again. This will to be a trend that only exists in this particular article, promise. Anyway, as I continue to poking it, touching it, hugging it, playing it with both hands, etc…I could barely see any marks or residuals on the glass. Though things do stand out at some angles but it’s barely visible most of the times, which is very impressive. Nevertheless, you will still need to clean it occasionally for that matter. Now with that off my chest, I reckon the rest of the case are bundled with such intelligent designs. Most cases we have seen so far have their front panels, obviously, facing the front towards your line of sight. 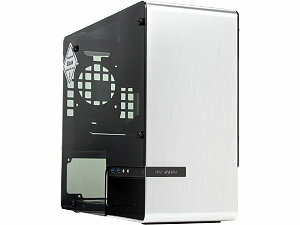 But the Inwin 901 is structured to have its pretty glass side to be your front panel; staring at everybody just to shine and present its awesomeness everywhere. 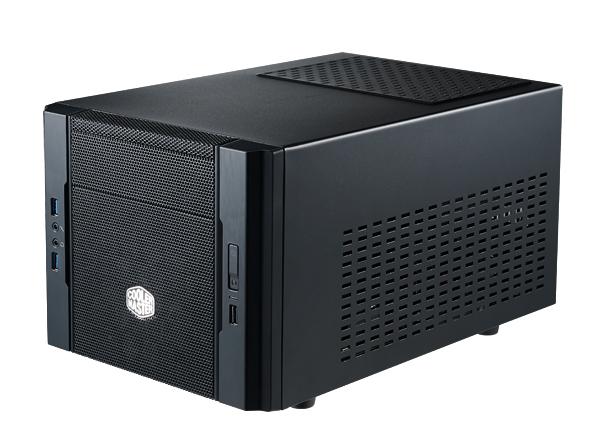 If you want a luxurious, elegant and beautiful looking mITX chassis for your PC setup I think this might be the one you should be grinding for; because it also comes with a hefty price tag. Pure, elegant, attractive, lavish design. Tempered glass as side panels and hairline finish on main frame. Two USB 3.0 ports by the side. Interesting rear panel that actually keeps all external connectors inside the chassis frame. Two 2.5″/3.5″ bay and One 2.5″-only bay. Hot-swappable SATA adapter in each of the two larger drive bays. Easy to work inside the case. Supports liquid cooler with 120mm radiator. Mountable on the outer side of the frame. It weighs 6.71kg (14.7 lbs). Obviously not made for weaklings and under lvl noobs. 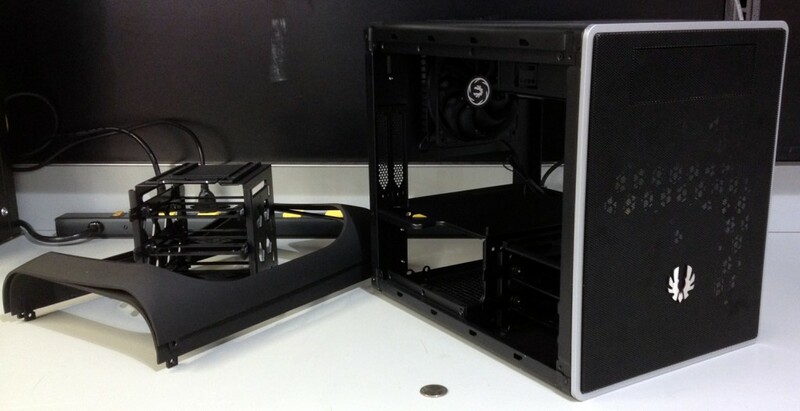 A little big for a mITX case at 173 x 350 x 400mm (6.8″ x 13.7″ x 15.7″). Has an optical bay at the bottom but it only supports slimline drive. Also the power cable connector for this slimline bay is 4-pin floppy instead of standard molex or sata. Medium ventilation. Heat will be an issue for gaming build. Comes with no a single spinning fan. I repeat. NO fan. You can install one 120mm at the bottom, or 92mm by the side. The Core V1 is definitely a late comer to the mitx party. 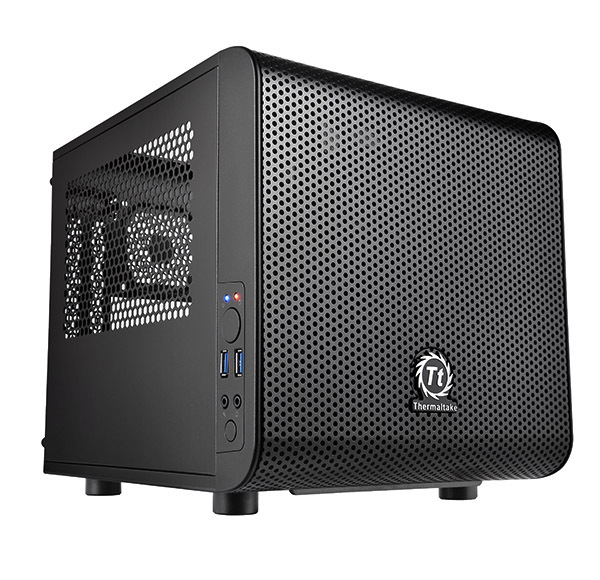 With a shape similar to the Cooler Master Elite 110, the Core V1 obviously becomes its direct competitor. When it comes to size, the Core V1 is definitely bigger than Cooler Master 110; but that is for a full-size video card and a better clearance for CPU heatsink. First and greatest given point of this chassis is the very affordable price tag; because you could spend less than $50 to bring it home. I think this is the best price in our round-up. 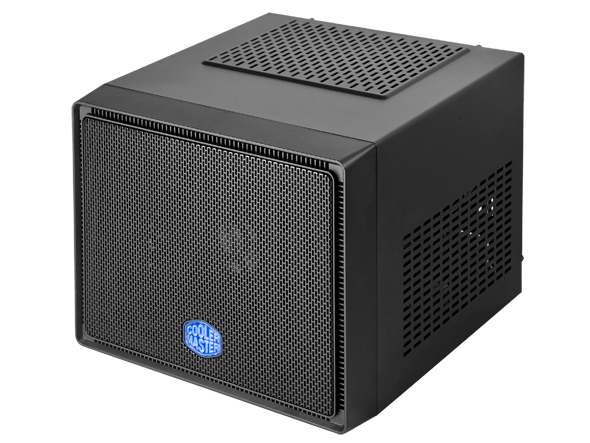 This case also features great ventilation, bottom-mount PSU and a cool, interchangeable transparent-window panel as a sweet final touch. In short, Core V1 is a small yet totally capable chassis at every turn. If required, it sure can demand trial by combat. Pretty petite 270 x 260 x 316mm (10.9″ x 10.2″ x 12.4″). Mesh front panel equipped with one 200mm fan (800rpm, 13dBA). Open vent on rear panel with two 80mm fans preinstalled. Two 3.5″ bays and two 2.5″ bay. Two USB 3.0 ports on the side. Supports liquid cooler (accommodates push/pull configuration) with 120mm or 140mm radiator. 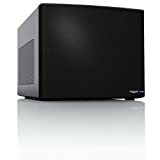 Accepts full-size 200mm power supply unit. Panel with transparent window can be installed as a side or top panel. Your call. The other two side panels have open vent. Very easy to work inside the case. Supports up to two 3.5″ drives and two 2.5″ drives with clever bay design. 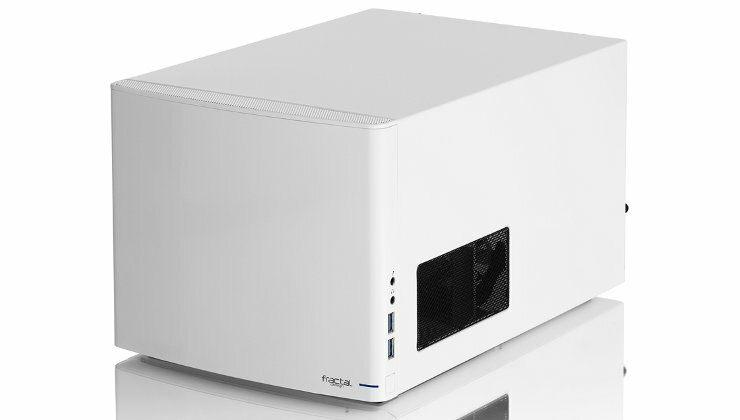 Here’s the sugar treat : you can even install Two additional 3.5″ drives onto one of the side panels — though it reduces the maximum CPU cooler height to 120mm (4.7″). There gotta be something bad here. Well, let’s see. Oh right! No optical bay. With all components installed, it’ll be really packed inside. Does not make indoor rainbow. Speaking of innovative and minimalist chassis designs, there is only a handful of them out there and Fractal Design is one of the very best manufacturers in this field. 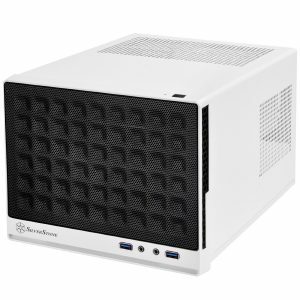 I particularly love the R4-series for its elegant, efficient yet simple aesthetic; so when I first found the Node 304, I bet my pants that this case would be great and full of potentials. And then, I was right! Sturdy material and a nicely clean, brush front panel. 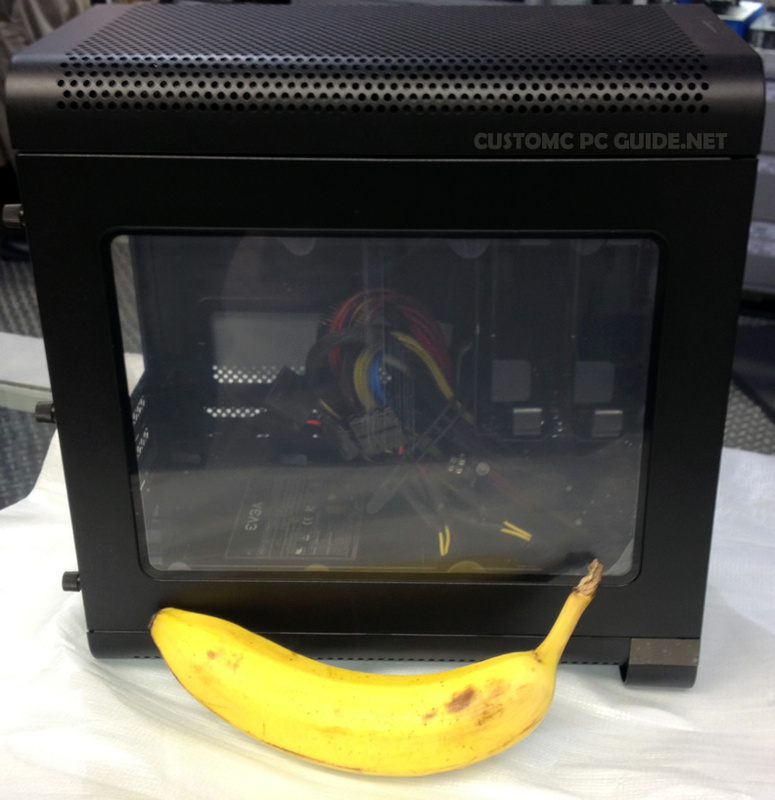 Good size for a mITX case : 250 x 210 x 374mm (9.8″ x 8.3″ x 14.8″). Removable front, top and two side fan filters. Two 92mm fans as intake preinstalled behind front panel, draws air from vented intake area at the top. One 140mm fan installed as exhaust on the rear panel. Can carry up to six 3.5″/2.5″ drives with vibration rubber dampeners. Fan Control switch on back panel. Bottom-mount PSU location with bottom vent. It’s worth to mention that the power supply unit will be housed further inside and sideway at the front of the case. This greatly reduces overall noise level from the chassis. Very quiet at LOW fan speed. Solid front reduces intake air flow. 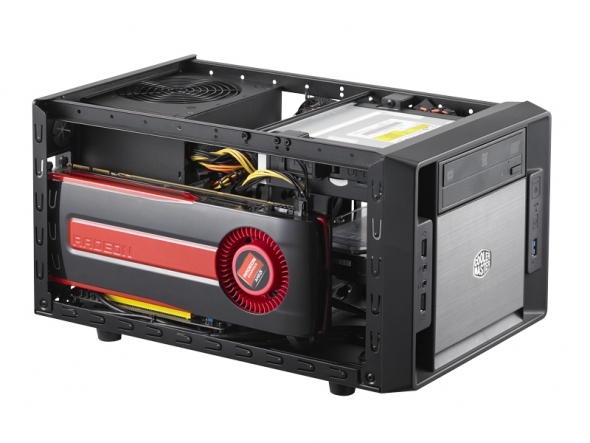 Supports ATX power supply unit only up to 160mm (6.2″) in length. No bay for optical drive. 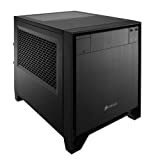 Due to PSU location, non-modular power supply will eat up all the valuable space for video card. Flimsy and hard to remove front dust filter. Very low rubber feet, that means the case isn’t ideal to be placed on carpet. Needless to say, this is one of the most popular mitx chassis since forever (well, about 2 years ago..). 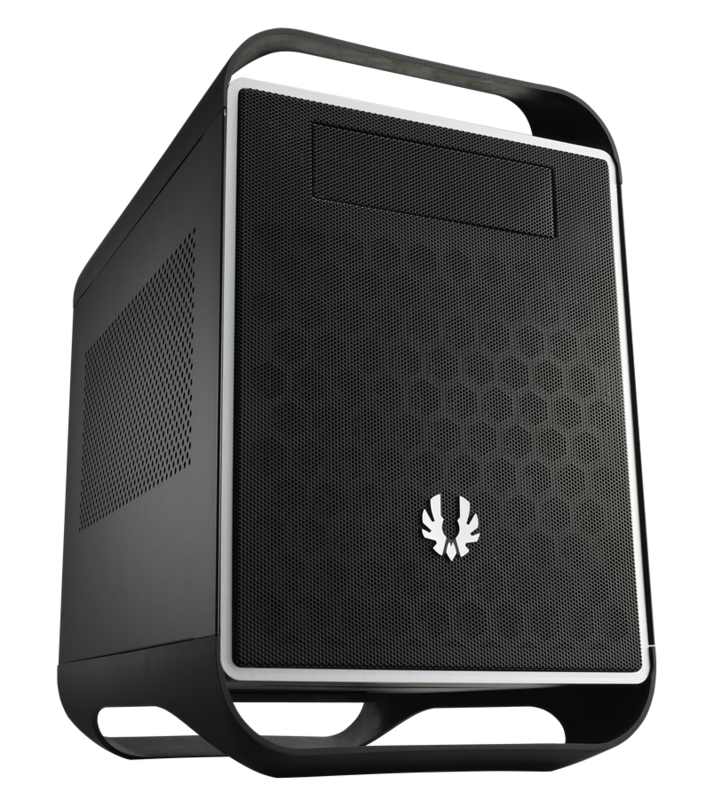 I could be wrong – that seems to be the settled trend in this article – but I think BitFenix did a very good job to stir up mitx case market with their Prodigy. It’s a functional, all rounded chassis with many creative interiors designs on hand at its time. Plus the Prodigy looks really nice on the outside, too! 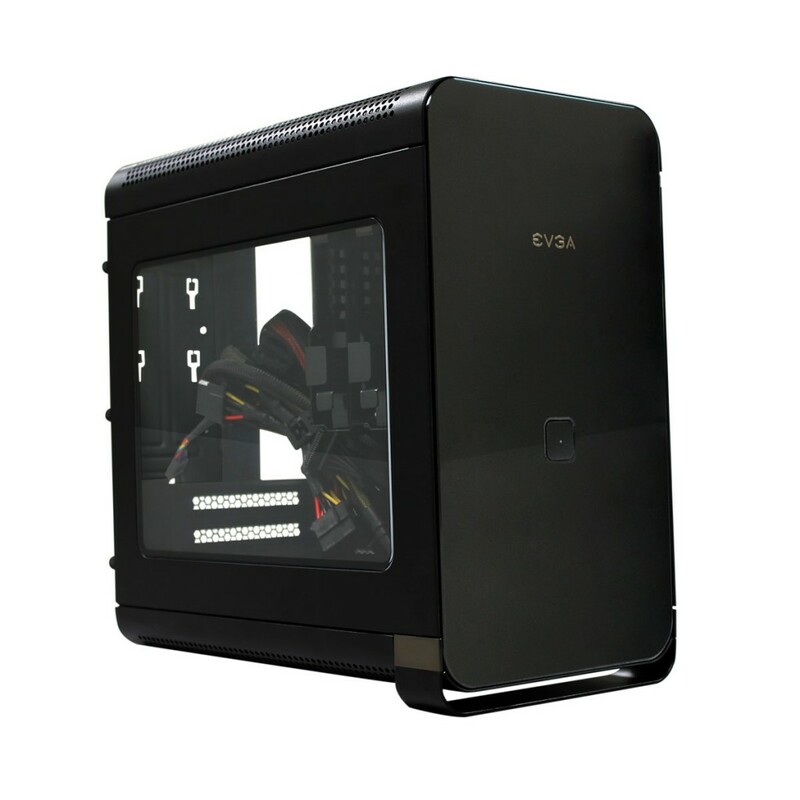 Mesh front panel (Black edition only). Fairly easy to work inside. 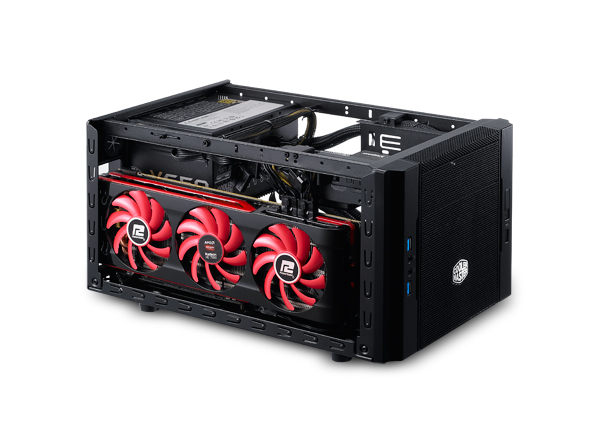 Comes pre-installed with one 120mm fan in the front. You can add one more 120mm fan here, or replace it with one 140/180/200/230mm fan. 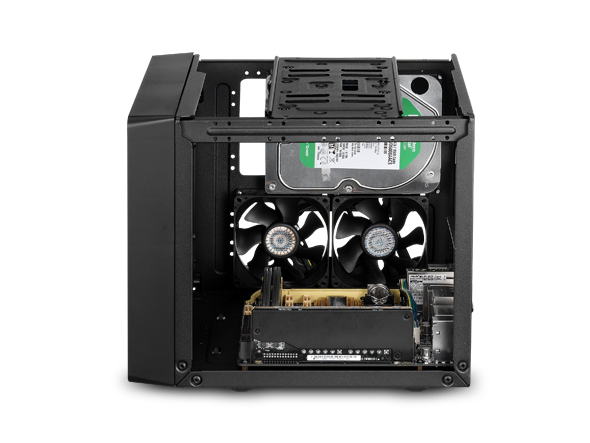 Comes pre-installed with one 120mm fan in the rear. It also fits 140mm if you’d prefer so. I can’t stretch this enough, but big fan slots mean you could reduce noise level while increase cooling efficiency very easily. Just replace with larger fans. Top vent supports two additional 120mm fans or 120mm radiator. A radiator of 240mm in size will also fit but you will sacrifice the optical bay. 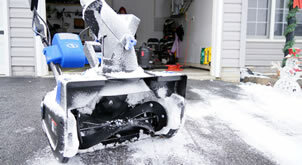 Removable top, bottom and front dust filters. Has 5.25″ bay for optical drive. Two USB 3.0 ports on the right side panel, connected via USB 3.0 header. A usb 3.0 header to usb 2.0 header converter cable is also provided. Two 2.5″/3.5″ bays at the bottom. Removable modular drive bay in the middle to free up more space or carries up to three more 3.5″/2.5″ drives. Can carry four more 2.5″ drives on the side panel. Bottom compartment with easy removable retention bracket for power supply unit, with bottom vent. Left vent for video card. 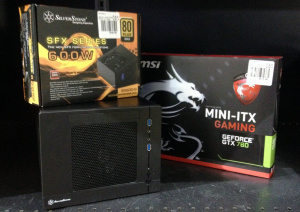 We used this chassis in a $800 / $1200 Hybrid Gaming HTPC Build. 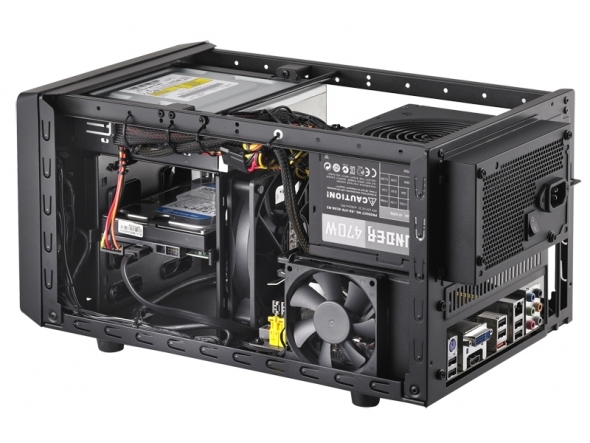 Maximum length for power supply unit is 160mm (6.29″) but it will be a very tight fit. Hence, 140mm (5.5″) is advised. Fairy big for a mITX chassis at 250 x 404 x 359mm (9.84″ x 15.9″ x 14.1″). BUT. But you can remove the top and bottom handles after 8 screws! BUT, that will leave the case with no stands whatsoever. BUT, there are four screwholes at the bottom that are supposedly there for you to attach some sort of stands there. BUT, such things aint included. Quite heavy at 7kg (17.2 lbs). Not suitable for bros who dont lift. Stands, or seen as handles are incredibly strong and flexible (made from FyberFlex™ Composite –according to BitFenix) but they make the case wobbles on some floorings. Flimsy material used to attach the handles to chassis frame. This chassis is the smallest, among other chassis that we have just looked at. It might also be the smallest, most powerful gaming rig you could build today (2018) –thanks to plenty of vents and its lightweight, minimalist design. However, the Sugo SG05 picks the builder –like the One Ring choosing its master. If you have large right hand or just big hands in general, you may have a tough time working inside the case. 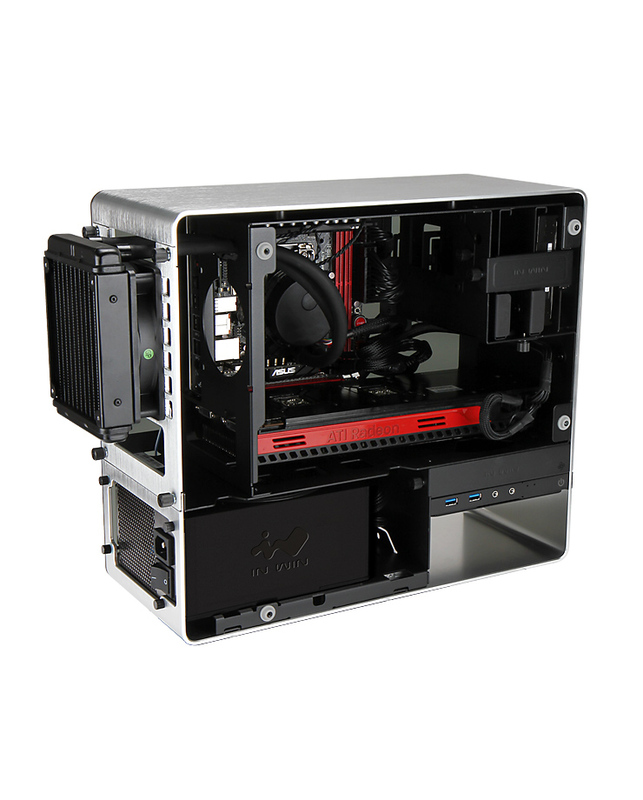 Click here to check out our gaming build with the Sugo SG05 Lite. Phanteks Enthoo Evolv is a beautiful chassis with creative craftsmanship. 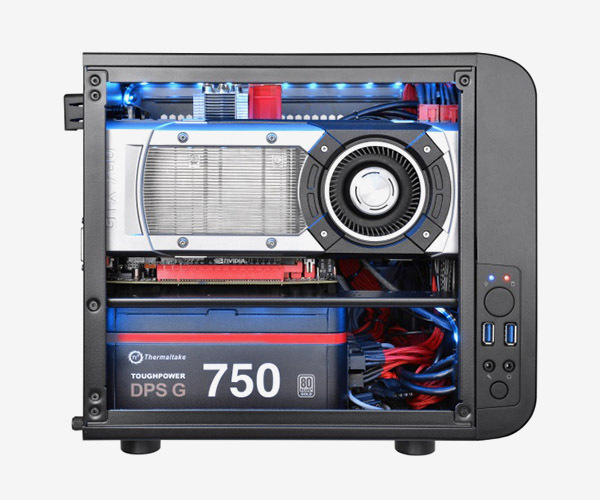 You have a clean cable management system, a windowed side panel, PSU / HDD separate compartment at the bottom along with side bracket for SSD mount and space for up to 4 fans. It can support full-length video card so you might not even need to purchase a mini ITX GPU at all. 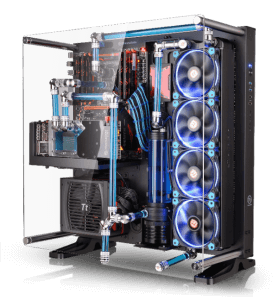 The best feature that we like is a location to house one full pledge water cooling kit of your choice. 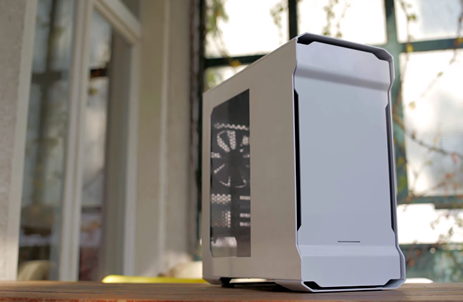 We went through a more detail review of this case at Build a $800 to $1200 mini-ITX Gaming PC with Enthoo EVOLV (2016). Be sure to check it out, even it was couple years ago the techs haven’t changed too much –we still have core mobo, gpu, ram, psu, etc..only faster components today. 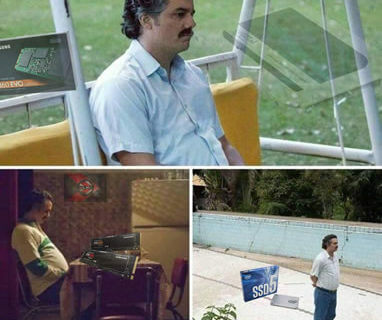 We all know about Fractal Design S series. You know it, I know it, Donald Trump knows it. It’s one of the nicer, minimalist looking chassis that catered towards the silent computing category and made America great again. Now what Fractal Design had to do was to add part 2 of the equation : making a mini itx version of this series and profited. I suprisingly love the way FD has been able to shrink down the size of the actual ATX size of the S to a mini ITX version and still retain all the goodies available for us. It’s too cute, but also has a BADASS tattoo written all over it. The nano S comes in two main editons : with or without the see-through panel. Color only available in black, however. If you are all about silence, the solid panel edition is preferably the better choice anyday. But if you want to showcase that pretty little setup, the transparent window definitely delivers and it isn’t much louder than its sibling at all. It costs $5 more though. Simple, minimalist design, men vs swag. Very quiet for solid panel edition. Brushed Aluminum front looks elegant. Thumb screws that permanently attached to the side panel so you don’t lose them. Comes with 2 fans – front and rear. Thick noise insulation material on both sides as well as top and front panels. 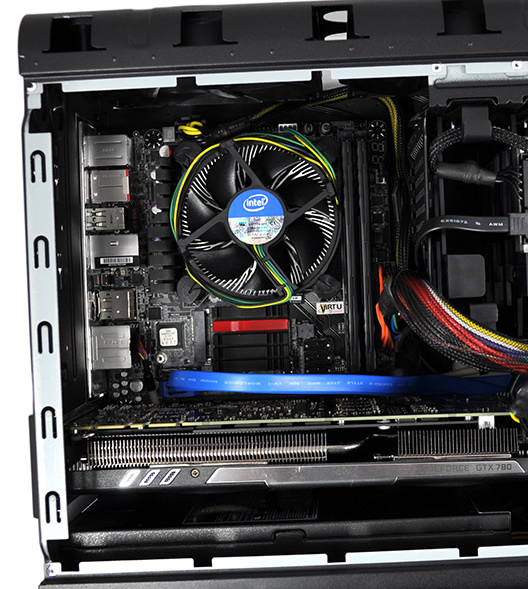 Top cover is removable, revealing air vent for two additional fan mounting locations. Two SSD mounts on backside of motherboard tray. Sturdy feet with rubber fill. Supports video card up to 315mm in length (12.4″). In order to remove bottom dust filter, the front panel has to come off. Strange. Heavy @ 4.6kg (10lbs) due to the noise cancellation foams. A little tall for a mini ITX. You wouldn’t want to miss these, either! Smart Home Security Kits Comparison and How to Setup ENKLOV-W1 Wifi Alarm System with your Smart Phone. All of these products are absolutely pig huge. The BitFlex is a monster compared to the picture, standard desktop offerings from Dell are smaller than a lot of these, just take a cardboard box and cut the dimensions to match the product you are interested in and set it on your desk and you’ll see what I mean instantly. Found the Dell employee. But we will forgive your chosen path if you prove us a dell that can be small and powerful as the one we did with SUGO chassis. I just built my first PC using the TT Core V1. The fully removable panels and accessibility make this a very attractive proposition for first-time builders. My build experience was problem free and enjoyable. The front dust cover on the ThermalTake Core V1 is definitely removable! This is a good read. I liked the writing style in this one, thats why I READ IT ALL..! Really, keep up the good work. First-rate article, thanks for this.